While you may have heard that cover letters are barely read these days, they are still required by some employers and an essential part of your application package. Your cover letter should be brief and to the point – no longer than one page (I recommend no more than 4 paragraphs) and clearly stating why you are applying to this position, who you are, and why you are the perfect fit. First Paragraph: Tell the reader why you are writing and which position you are interested in. Include a sentence or two about your experience level and areas of expertise. The first paragraph is a great place to mention a contact you have within the company, a recent or current project the company is engaged in, an article you read about the company’s successes, etc. to personalize the letter and show you have done your research. For Example: As a highly dedicated Social Worker with more than 20 years’ clinical experience, I bring strong qualifications in all aspects of case management, counseling, and service coordination. My background demonstrates a commitment to providing excellent educational, mental health, and social services with proven abilities in assessing client needs, developing appropriate treatment plans, and building strong relationships with providers, medical staff, and community resources. Middle Paragraph(s): Go into more detail about your experience and qualifications, including a sampling of your most recent achievements. Be sure to mention the skills and credentials you have that line up with the job posting and examples of how you have used those capabilities to benefit your previous employers. The second paragraph can also be used to address gaps in your employment, transitions, or other circumstances best left out of the resume. For Example: I have been regarded as a perceptive and empathetic case manager and therapist, and have consistently shown flexibility, dedication, and enthusiasm toward exceeding client and employer expectations. I encourage a positive work environment and provide valuable expertise to service teams. I now hope to bring my administrative, leadership, and care-driven skills to work for you. Conclusion: Mention your enclosed resume and restate your excitement about the available opportunity. Include a timeframe of when you plan to follow up and include your contact information (phone number and/or email). If you are planning or willing to relocate, mention that here as well. Thank the reader for their time and consideration. For Example: The enclosed resume describes my qualifications in more detail. I hope to discuss the position with you soon and how I can be a valuable contributor to your organization. Please contact me directly at 555-555-5555 to schedule a time for us to meet at your earliest convenience. Thank you in advance for your time and consideration. Customization is critical in cover letter writing, even if you are applying to the same or similar positions. At the very least, address each letter to the specific company and research LinkedIn or their website to find the hiring manager’s name. You may find it helpful to save a template of your cover letter to return to for each application. Last but not least, pay close attention to the job postings to be sure you respond to all requests – salary requirements, availability, the specific job ID, etc. 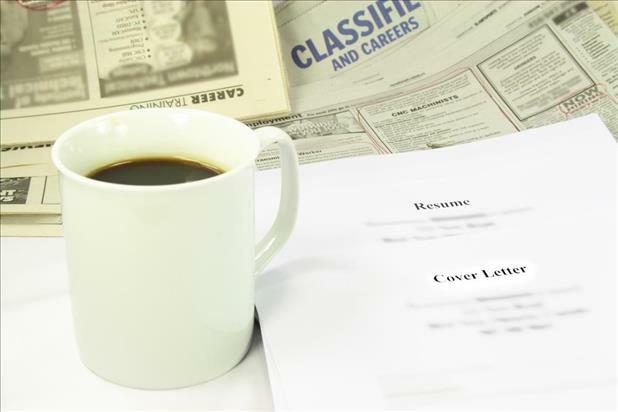 Your cover letter may not be read from start to finish, however be sure to equip yourself with a strong letter that meets employers’ needs and protects your resume from being discarded.